Ready for what's next? 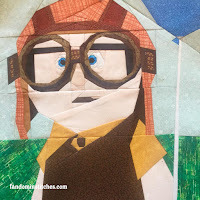 Coming in April, #ArtWithDisney by Alida(TweLoQ)! 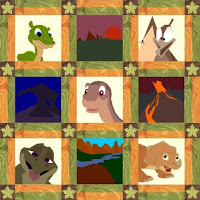 Final Land Before time post tomorrow: Get the most recent post here! 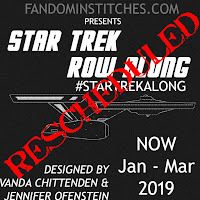 Due to a wide variety of personal reasons, Jennifer & Vanda have rescheduled the Star Trek Row Along (#startrekalong) for January 2019. We will still have the same event, just a few months later than originally planned. On behalf of both myself and Vanda, we are sorry to make you wait, but holding off for a little while is a huge help to both of us. 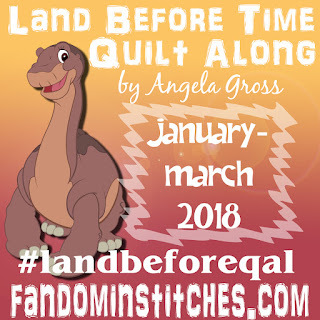 Because we don't like to leave you with nothing to do, we're pleased to announce that one of our awesome designers, Daphne Seymour, is stepping up to share a brand new quilt along! designed entirely by Daphne Seymour! Love Stranger Things? 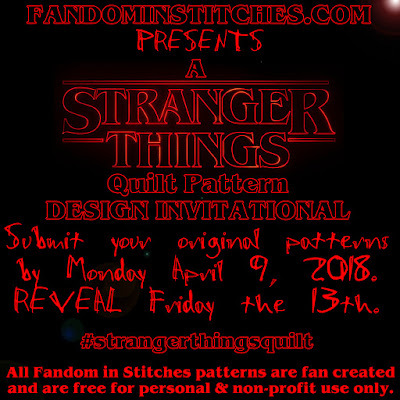 Help us design patterns to share with the Fandom in Stitches community! PATTERNS DUE APRIL 9!